Use the form below to request Electronic recycling services. Always free to drop off. 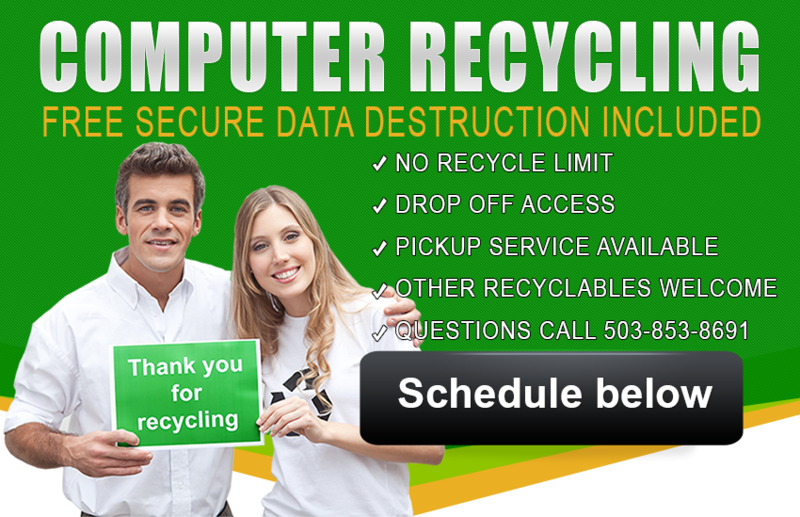 To Qualify for FREE ONSITE Data Destruction your e-Waste needs to have enough value to defer the Data Destruction Cost. Specific 2 hour window is not always guaranteed due to workload, traffic and weather conditions. If you e-Waste don’t have enough value the data destruction would be done offsite at our location, you are welcome to witness the data destruction process. Do you charge for electronic recycling and Data Destruction? No, we don’t charge for electronic recycling. All e-waste are recycled at no cost to you. We might waive the hard drive destruction fee if your e-waste has enough value to defer the Data Destruction cost.